Traveling can leave a lasting impression on your mind, whether it is a trip to the nearest woods or across the seven seas. However, getting the most out of your travel requires staying healthy, planning, and budgeting. Using a bullet journal is the smartest way to achieve more with less in this regard. You would find it very useful and flexible especially if you are planning a long-term journey. Consider adding the following points in your bullet journal to make your trip an awesome encounter. One of the first things that your bullet journal can keep track of is the itinerary spread of your journey. 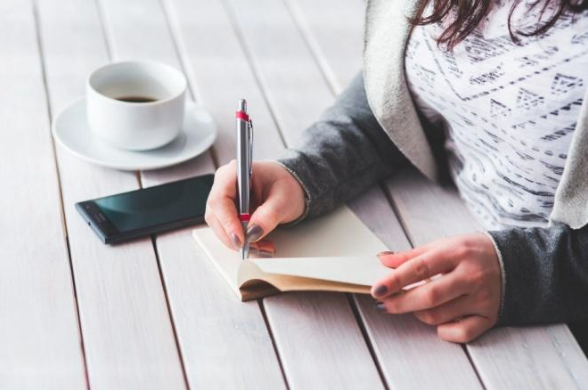 Before making the entries into the journal, make sure you have planned everything from traveling dates and flights to hotel bookings and local transportation. Get all of your information together and start jotting down the essential points. Write down your flight details including dates, times, flight numbers and terminal numbers. You can also add the details of local transportation including buses, taxis, car rentals, and trains. Include hotel booking details such as check-in and check-out timings, address, outstanding amount, and contact numbers. You can also create a log book of daily activities for the entire journey. Traveling involves a variety of expenses. However, transportation, food, and lodging are the big-ticket expenses that you need to plan before leaving. You can use your bullet journal to pen down and compare these expenses to create a budget and find out the least expensive means of travel and boarding. For example, if you are traveling within India, trains are usually cheaper than flights. Sometimes, a rental car is an affordable alternative for short journeys. The point is to create a ballpark estimate for your entire trip. You can add the details to an excel sheet later. Remember, these rough outlines will help you stay within your budget on a daily basis and make sure you have enough local currency in your pocket before leaving the hotel. If you are a frequent traveler, you may remember most of the things that you need to pack before heading out. But, don’t take any chances! Better write it down in your bullet journal. There are two advantages of creating a packing list. First, you don’t forget anything before leaving your house. Second, it reduces the chances of losing anything during your journey. You can dedicate a couple of pages from your journal to packing list. Just write down the things as and when you remember. Alternatively, you can also make list according to which item goes in which suitcase or backpack. Use the method that suits you! When you are planning a trip, you often get carried away and forget many things that need to be done before leaving your house. You may forget to stop the mail, water the plants, take out the trash, call credit card companies and banks or weatherproof your house among other things. You are not alone. It happens to the best of us. That’s why you should create a pre-trip checklist to make sure you don’t forget anything. While you are at it, prepare a post-trip to-do list as well. You may have to make travel insurance claims, check your credit card statements, catch up with your work, and refill your medicine box after returning from your trip. 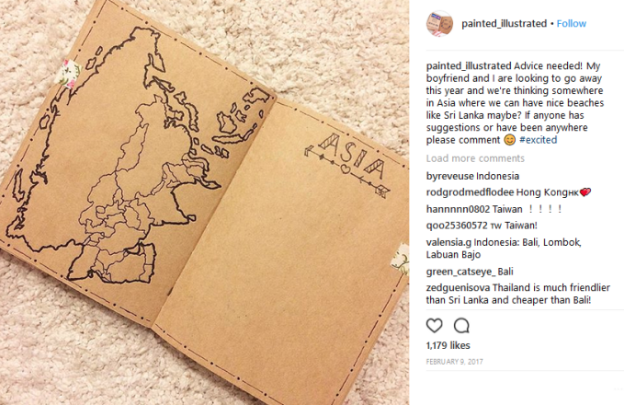 While you can always pull out your phone to check out your travel destinations, it is highly recommended to map them out in your bullet journal. It will allow you to save your phone battery for important stuff like calling and taking pictures. Plus, you won’t get lost in case your phone battery dies or there is no signal. You don’t have to be an artist to draw the maps. Just take a print-out, flip it over your journal page and trace the map outline with a pencil. Add only the important details such as the desired route, directions, relative distance, and landmarks. How was your hotel stay? Was the local food as good as you thought it would be? Did you get a chance to interact with local people? Was it any good? What did you learn about the local culture, history, architecture, food, and people? You can write down all your experiences during the travel. No need to write long passages. Just scribble some notes so that when you get back, you can write a more detailed account of your journey. Sure, you can take pictures. But, this is also an interesting way to collect memories. A bullet journal is a simple and inexpensive tool that can make your journey more comfortable and memorable. 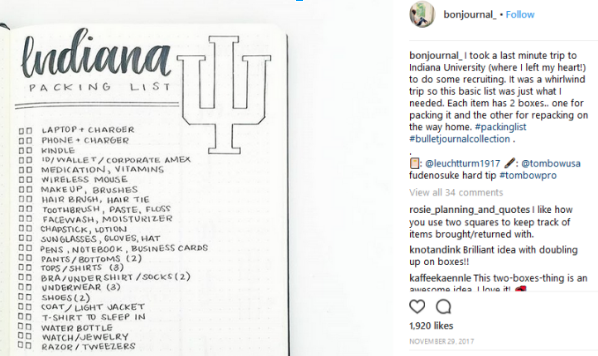 Hopefully, the above tips will help you use a bullet journal for your upcoming trip. Have you used a bullet journal before? Share your ideas and experiences in the comments below. Millie Rainer loves to share her insights, thoughts and perspectives by ​contributing her articles on niches like fitness, parenting, travel and lifestyle. 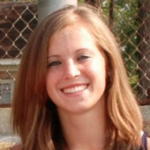 Her articles have been featured on many high authority, quality and trusted sites and online magazines. She is also interested in music, fitness and art. In spare time, she loves to spend time with family and friends. Reach out to her at millierainer[AT]gmail[DOT]com​.